This month at Working Person’s Store we’re looking at a brand new manufacturer of socks. You might say, that’s all well and good, but they’re only socks, right? Well, made with only the finest 100% American ingredients, sourced directly from American sheep ranchers, they’re 100% Made in the USA. So these are no ordinary socks at all. And you only have to look at the designs to know one thing, they’re a totally unique proposition. So let’s start at the beginning. These Farm to Feet socks are proud of the fact that they’re 100% American manufactured, but what does that actually mean? Well in this case it means a unique approach to bringing the ingredients together. With different facilities across the US, they call on decades of American craft and know-how in order to make a better, more authentic sock – even down to the displays you’ll see in stores. 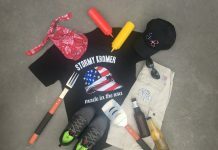 For example, they use a company called Snyder Packaging in Concord North Carolina to manufacture all their packaging. For the sock tops they use a wool processing facility in Jamestown South Carolina to process and shrink treat all of their American-grown wool. Traditional spinners of US military uniforms are used to spin and dye the wool yarns, before going on to Nester Hosiery, where they’re knitted together to become every pair of Farm to Feet socks. So these really are produced, processed, and knitted by US workers at US companies. But before we even get to that manufacturing stage, let’s look more closely at where those ingredients actually come from. 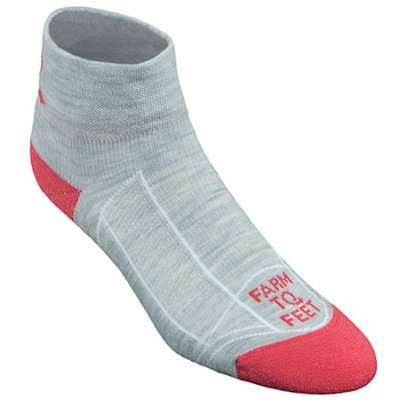 Farm to Feet use 100% American Merino Wool, it’s a resilient fiber that wicks water well. That means when your feet get wet or sweaty, the material brings the moisture to the surface faster, giving it the best chance to dry more quickly. Merino is also a good natural temperature regulator, keeping you warm in the winter and cool in the summer. But most of all, its long silky fibers are soft, for a bundle more comfort than you get from other wools, without the itch! Farm to Feet uses only US ranchers like Roberts Ranch, based in what used to be called ‘The Sheep Capital of the World’, Cokeville Wyoming. And they work with the American Sheep Industry, an association that represents over 82,000 sheep producers throughout the country. It’s another guarantee of quality and authenticity that they’re really proud to talk about and we are proud to be a part of! But all of this aside, what they’re most proud of is their American designs and build quality. They’re proud to design and build socks that feel comfortable and last. And that boils down to the mix of materials they use and how they use them. 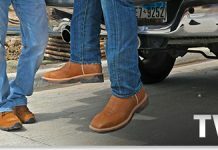 Their use of nylon provides structure, durability, and reinforcement in the high impact areas like in the heel and toe. Nylon allows for the addition of stylish colors, designs, and logos too. They use spandex to provide stretch and give a better fit from the welt through to the toe. And it all works together with the Merino wool to bring together what we think is a truly exciting sock. All American, in every single fiber. Farm to Feet are genuinely pretty special. And we’re proud to stock the range here at Working Person’s Store. Feel the difference today.